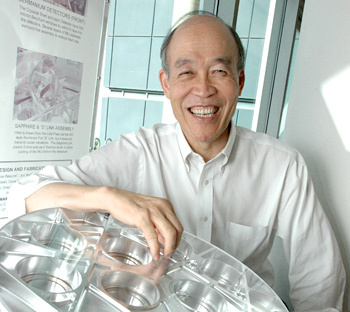 Robert P. Lin in 2008, upon his retirement as Director of the Space Sciences Laboratory. Robert Peichung Lin was a long-time faculty member in the Department of Physics at UC Berkeley who served for many years as the Director of the Space Sciences Laboratory. Lin spent most of his career at UC Berkeley and led a revolution in our understanding of high energy solar physics. He made pioneering discoveries of x-rays and gamma-rays from solar flares using several generations of instruments and culminating in NASA’s RHESSI mission. Lin also designed instruments to make in situ space plasma measurements and used these instruments to measure surface magnetic and electric fields at the Moon and Mars. He was a member of the National Academy of Sciences and collaborated on many space research projects internationally. His accomplishments were many and his impact on Space Sciences at UC Berkeley was profound. Lin was an especially effective teacher and graduate advisor and this fellowship serves to underscore the importance with which he viewed higher education. To read more about Robert P. Lin’s legacy, please click here. The Robert P. Lin Graduate Fellowship was established in 2012 with a gift from Robert P. Lin’s wife, Lily Lin. It is used to support outstanding graduate students at the University of California, Berkeley who pursue research related to space sciences, including, but not limited to, students with training in Physics, Astronomy or Engineering. Recipients of the fellowship demonstrate a high level of academic distinction. Preference is given to students who pursue research projects associated with the Space Sciences Laboratory. You can help support the Robert P. Lin Fellowship by clicking here! Students from all departments on the UC Berkeley campus are eligible to apply to the Robert P. Lin Graduate Fellowship. The Fellowship is also open to incoming graduate students. Preference is given to students who pursue research associated with current projects at the Space Sciences Laboratory. Interested students should send a CV, cover letter, and statement of research interests to lin.fellowship@ssl.berkeley.edu. Applications are now being accepted for the 2019 Fellowship, which will provide funds for summer work (salary support for up to 3 months) along with a stipend that can be used for travel or other items. To learn more and to download a flyer, please click here. 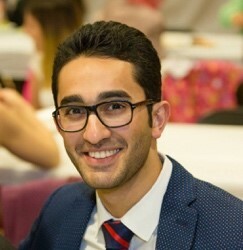 Matin is a research fellow working with Prof. Richard Mathies in the Department of Chemistry at UCB. He is entering the UCB Biophysics Ph.D. program in Fall 2018. In collaboration with SSL and the Centre for Astrophysics and Planetary Science (University of Kent, UK), he has been contributing to the engineering design of the Enceladus Organic Analyzer (EOA) by developing a new state-of-the-art capture plate/chamber to effectively gather and transport plume ice particles. 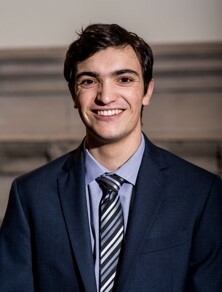 As a Lin Fellow, he will be involved with the hypervelocity impact modeling of micron-sized particles on metallic surfaces to measure capture efficiency and the average temperature increase of the captured projectile material after impact. Gwen is working on the Mars Atmosphere and Volatile Evolution MissioN (MAVEN) with Dr. Dave Mitchell at Space Sciences Laboratory. She will be entering the Physics Ph.D. program at UCB in Fall 2018. She began working on MAVEN in 2015 at the University of Colorado’s Laboratory for Atmospheric and Space Physics. As a Lin Fellow, she will be analyzing data from the MAVEN SupraThermal And Thermal Ion Composition (STATIC) instrument in order to identify the physical processes that lead to the heating of cold ions at low altitudes in the Martian ionosphere. Hadar is entering her second year as a physics graduate student at UCB. She is currently working at the Space Sciences Laboratory with Dr. John Tomsick and the dedicated team of the Compton Spectrometer and Imager (COSI), a balloon-borne telescope. 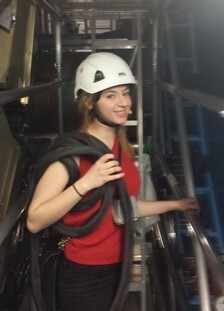 As a Lin Fellow, she will develop calibration techniques in preparation for the COSI-2 campaign, which aims to study astrophysical sources of positron annihilation and nuclear line emission and gamma ray polarization. Roger is a second year physics graduate student working in Prof. Stuart Bale’s group. 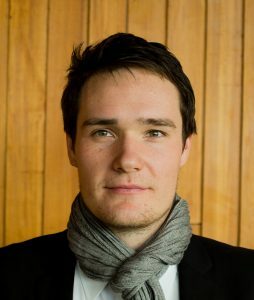 Generally interested in cosmology and heliophysics, he has been working on the CURIE project with Dr. David Sundkvist. CURIE looks to observe solar eruptions through radio interferometry and map the sky at previously unexplored radio frequencies. Through the Lin fellowship, Roger will work on the attitude orbit control magnetometers with the intent to make further high precision magnetic measurements of the Low-Earth environment. 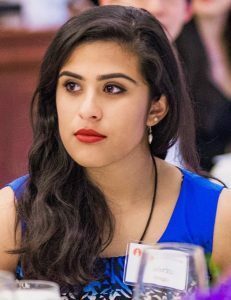 Aashrita completed her bachelor’s degree in electrical engineering in 2016 from Caltech where she also gained experience working on ultrafast photodevices and machine learning applications in experimental high energy physics. 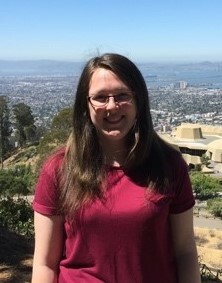 She entered the UC Berkeley Physics Ph.D. program in the fall of 2017. As a Lin Fellow, she is working with Prof. Adrian Lee on the LiteBIRD project, which is a proposed satellite instrument for studying the cosmic microwave background. 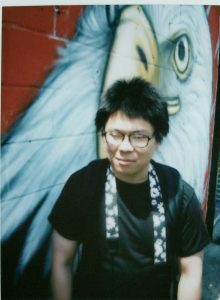 Steven comes to UC Berkeley as Physics Ph.D. candidate from CUNY-­‐Brooklyn College where he obtained a bachelor’s degree in Physics and Mathematics. His Lin Fellowship project involves work on the Gamma‐Ray Imager/Polarimeter for Solar flares (GRIPS) balloon borne instrument. GRIPS was developed at SSL, and flew from Antarctica on a balloon in 2016. The instrument is back at SSL, and Steven is testing it after its long trip to the ice and back.